Home » Lifestyle » Parenting » 99+ Funny Riddles for Kids! 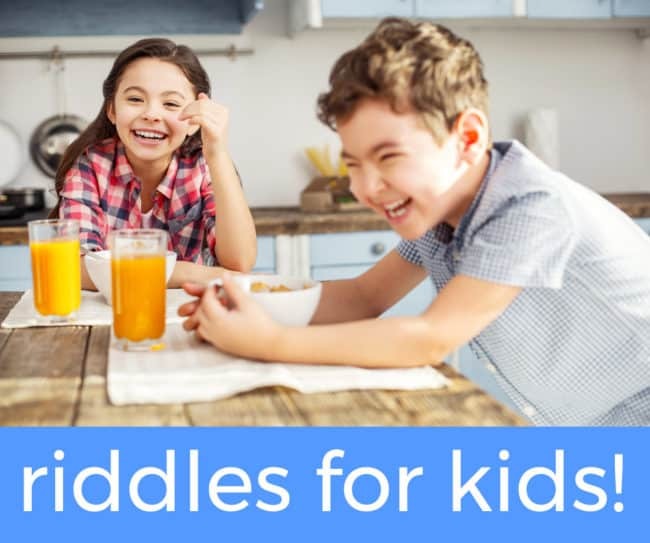 My children LOVE riddles, so I’ve curated this list of the BEST funny riddles for kids with answers! These riddles, brain teasers and jokes for kids will have your kids belly-laughing in no time! Jokes, brain teasers, and riddles for kids are good for more than just making your little ones giggle. Riddles can help children look at the world in a different way. These riddles are a great exercise for little brains, especially in this age of digital atrophy. Plus it’s a whole lot of fun and all that giggling is a great exercise for stomach muscles, too! After all, what gets sharper the more you use it? Your brain! Q: What two keys can’t open any door? A: A donkey and a monkey. Q: Where does Friday come before Thursday? Q: What word begins and ends with an E but has only one letter? Q: Why did the girl bury her flashlight? A: Because the batteries died. Q: What 5-letter word becomes shorter when you add two letters to it? Q: Where do cows go for a bit of entertainment? A: They go to the moo-vies. A: Take away their credit card! Q: What belongs to you but other people use it more than you do? Q: What ship has two mates but no captain? Q: How do oceans say hello to each other? Q: A cowboy rides into town on Monday, stays for three days, then leaves on Monday. How did he do it? A: His horse’s name was Monday. A: It’s too far to walk. A: Because it held up a pair of pants. A: Because it was full of problems. Q: What did the king say when he went to the dentist? A: I came to get my crown! Q: Where do monkeys get their exercise? A: At the jungle gym. A: Don’t look now but something between us smells! Q: What kind of food does a racehorse eat? Q: Which tire doesn’t move when a car turns right? Q: Which word is always written incorrectly in the dictionary? Q: You will buy me to eat but never eat me. What am I? Q: Which hand is better for stirring sugar into a cup of coffee? A: Neither. It’s better to use a spoon! Q: Why is it dangerous to play cards in the jungle? A: Because the jungle is full of CHEETAHS. Q: A boy was rushed to the hospital emergency room. The ER doctor saw the boy and said, “I cannot operate on this boy. He is my son.” But the doctor was not the boy’s father. How could that be? Q: What can you feed to give it life but give it a drink and it will die? Q: Who makes moves while remaining seated? Q: What flies when it is born, lies when it lives and runs when it dies? Q: I exist when there is light, but direct light kills me. What am I? Q: What’s full of holes but still holds water? Q: What never asks questions but is often answered? Q: Why did the cookie go to the emergency room? A: Because he felt crummy. Q: What is light as a feather but even the strongest person in the world can’t hold it for more than 5 minutes? Q: What do you call a ghost’s one true love? Q: What building in any city has the most stories? Q: What travels around the world, all the while staying in the same corner? Q: How does a scientist freshen her breath? Q: How can you tell if a vampire has a cold? Q: How does a cucumber become a pickle? A: It goes through a ‘jarring’ experience! A: Quit picking on me! Q: What do you call a dog that is also a magician? Q: Why couldn’t the pony single a lullaby? A: She was a little ‘hoarse’. Q: Why do ducks make great detectives? A: They always ‘quack’ the case! Q: What do lawyers wear to go to court? Q: What dinosaur had the best vocabulary? Q: Why did Mary throw the clock out of her window? Q: What is hard as a rock but melts in hot water? Q: What kind of shower doesn’t need water? Q: What has teeth but cannot chew? Q: I have keys but no doors, I have space but no rooms, I allow you to enter but you are never able to leave. What am I? Q: I have wings, I am able to fly, I‘m not a bird yet I soar high in the sky. What am I? Q: I am a fruit, I am a bird and I am also a person. What am I? Q: What is always late and never present now? Q: What do you call a dinosaur that is sleeping? Q: What did the Dalmatian say after finishing lunch? 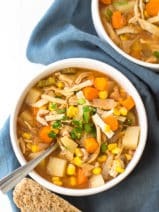 A: That hit the spot! Q: Why did the kid cross the playground? Q: You cannot come in or go out without me. What am I? Q: I am a number. When you add the letter G to me, I go away. What number am I? A: One (add a G to make GONE). Q: What kind of coat can you only put on when it is wet? Q: What do you call a droid that takes the long way around? Q: What kind of water cannot freeze? A: He only sleeps at night! Q: What is full of keys but can’t open any doors? Q: In a one-story red house, there was a red person, a red cat, a red dog, a red table, a red chair, a red telephone, a red shower– everything was red!What color were the stairs? Q: A boy fell off a 25-meter ladder but did not get hurt. Why not? Q: What goes around and around the wood but never goes into the wood? Q: Two mothers and two daughters went out to eat, everyone ate one burger, yet only three burgers were eaten in all. How is this possible? A: They were a grandmother, mother, and daughter. Q: A man was outside taking a walk when it started to rain. The man didn’t have an umbrella and he wasn’t wearing a hat. His clothes got soaked, yet not a single hair on his head got wet. How could this happen? Q: I am an odd number. Take away one letter and I become even. What number am I? Q: My name is Tom, I live on a farm. There are four other dogs on the farm with me. Their names are Dash, Flash, Speedy and Storm. What do you think the fifth dog’s name is? Q: What do the numbers 11, 69, and 88 all have in common? Q: What word looks the same backward and upside down? Q: How do dog catchers get paid? Are your stomach muscles hurting yet? I hope you enjoyed this list of jokes, brain teasers, and easy riddles for kids. Experts recommend riddles for kids because they help to improve cognition and creativity. I found this article interesting in learning more about the benefits of riddles for children. These are also great for long car rides. 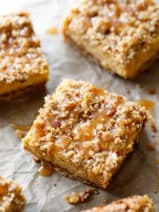 Be sure to make a batch of my peanut butter protein bites to take on the drive, too! If you’re interested in purchasing a book of jokes and riddles for kids I highly recommend this one. Don’t forget to comment and let me know which riddles you think are the cutest! Too cute!! I remembered when my girls loved telling & hearing jokes… Now they are growing up on me way too quick! I like Q: What do you call a dinosaur that is sleeping?A: A dino-snore. I love the “Why did the kid cross the playground?” riddle. It’s very cute! Laughter is the best! My son love this one, Q: Why did Mary throw the clock out of her window? A: Because she wanted to see time fly! A: ‘Racecar backward’ is my lil guys fav riddle! Thanks! Those were all so cute. When my daughter was little we used to tell little jokes all the time. These are so cute! I miss the days of my kids throwing riddles out to me. I love the dog pound riddle it’s so cute. I love these riddles! Going to tell some to my kids! I like this one —>Q: What word looks the same backward and upside down? We’re also a fan of knock knock jokes. I got one for you since it’s Cinco de Mayo. Knock knock. Who’s there? Mary. Mary who? Mariachi. Let’s dance! My grandson is a Star Wars nerd. Hell like be this one! A book of riddles is a great item to bring on a road trip with the kids. It gets them reading & sharing some laughs as a family. I like the Q. How do dog catchers get paid? A: By the pound. Will be sharing these with my nieces they will love to get reactions to them all. I am going to share them all with my kids but I like the Say Racecar backward. I thought this one was really cute, my daughter got a kick out of the Star Wars jokes I found today and read to her! I like the riddle What word looks the same backward and upside down. SWIMS. That is so cool! I think my daughter would like the one about how many months have 28 days because she is very logical and loves trying to tease/stump people with logic. What has to be broken before you use it a (egg) Love it! My nephews would ADORE this book! They love hearing riddles, so I know they would get a kick out of having these read to them. The Star Wars nerd in me loves the “What do you call a droid that takes the long way around?”, riddle the most! I loved reading these they are so cute and I love good clean jokes like these thanks for sharing. My favorite is: Q: What do you call a droid that takes the long way around? A: R2 Detour. Haha, great for a Star Wars fan like me! How many months have 28 days? Is my favorite. lol I love the all red house with no stairs! love your riddles. I’m trying to raise 5 grandchildren and they love the knock-knock jokes. You can hear them squeal with laughter a mile away. I’m keeping some of these riddles so I can ask them instead of them always getting to ask me. great idea. My kids will love these! We are always trying to come up with riddles during our carpool to swim practice. What is black and white and read all over? That’s the first one I was ever able to get over on my daughter! My kids are big fans of riddles. They try them out on me all the time :). My son and I like the riddle of what falls in the winter but never gets hurt: snow! but I’ll still delight you from your eyes to your nose. https://www.pinterest.com/pin/119486196348202234 pinned.. yeah I know honor system, just trying to make your job easier :) Thanks Crissy! I want to thank you for the chance to win the amazon money. My daughter is having twins so it sure would be awesome to win it to purchase many things for her. God bless you for caring. Oh my goodness there are alot of really cute ones here to choose from. I guess the one that is funniest to me is the one that asks Q: How can you tell if a vampire has a cold? A: He starts ‘coffin’. Kids would love reading this or answering the riddles. Keep up the great work. I like Q: What do the numbers 11, 69, and 88 all have in common? I like a lot of these! One of my favorites is Q: What do the numbers 11, 69, and 88 all have in common? A: The read the same right side up and upside down. These are all so cute!! I remember how much I liked these as a kid, and well, I still do! :D A new one to me was the alligator in a vest (investigator) one! I would love to win this giveaway since I use Amazon a lot. I need to save these riddles for my grandkids. The riddle about which months have 28 days got me! What has a face and two hands but no arms or legs? I like this one: Q: A boy fell off a 25-meter ladder but did not get hurt. Why not? I liked the one about the cookie feeling crummy. I thought they were all good. Couldn’t pick just one. Hahaha these are cute. I like Q: A boy fell off a 25-meter ladder but did not get hurt. Why not? My favorite is Q: Why did the girl bury her flashlight? I think the Q: What is so delicate that saying its name breaks it? A: Silence. is the best one. Oh so many of these are GREAT! We love doing jokes! I think our little one would love: Q: What animal can you always find at a baseball game? A: A bat. all great kids riddles but I like this riddle Q: What do the numbers 11, 69, and 88 all have in common? My favorite riddle that was listed is: Q: What has to be broken before you can use it? How do you get a one armed monkey out of a tree? Wave. I like the riddle where you add G to one. Excited to use these jokes! How do dog catchers get paid? By the pound. My Granddaughter told me this riddle.”..what has hands but cannot clap. A clock. There are some great riddles in the comment section! My favorite riddle is Q: What is so delicate that saying its name breaks it?A: Silence. because it make sure you really think about what silence means. It’s a very clever riddle. I like this list and will definitely make use of it during my English lessons. Thank you so much! I also like: Q: What do you call a ghost’s one true love? My niece loves to tell jokes. Her favorite jokes are knock knock jokes. She is a little comedian. I like: Q: Why did the student eat his homework? I liked: What 5-letter word becomes shorter when you add two letters to it? I love a good riddle! Why do we have one mouth and two ears? So we can listen twice as much as we talk. The kids roll their eyes when the grown-ups say it but I’ve actually heard them use this with their friends who talk too much. orange you glad I didn’t say orange again? I like :Q: What is full of keys but can’t open any doors? I liked the one what starts with ‘e’ and has only one letter? (envelope) I thought that one was funny. No little ones in my life anymore, but Ì enjoyed the riddles myself. My favorite is the Labracadabrador. One of new favorites is. What happens when you pick up a chicken? These are really cute riddles. I wonder if my kids would get them. I love how simple these riddles are. I can’t wait to do them without my daughter. I like several of these cute jokes, but my favorite is: How does a scientist freshen her breath? My favorite joke is — Q: What dinosaur had the best vocabulary? A: The thesaurus. Love the riddles! Will have to share them with my 5 and 7 year old niece and nephew – they will get a big kick out of them! Omgosh! This is so fun, I can’t wait for my son to come home from school so I can tell him some of these, he is really into knock knock jokes rightnow. My favorite is Q: What do you call a dinosaur that is sleeping?A: A dino-snore. Thank you! My daughter will love these (new) jokes. She gets so disappointed when we know the answers to the ones she’s already told us!! These are great riddles. I will use them with my grandchildren. I loved this post! My son is always stumping me with riddles and now maybe I can tell him some he hasn’t heard! My kids will love all these! Especially like the doggie jokes! I can’t wait to use these jokes on my kids and make them laugh – thanks ! My kids are always coming up with their own jokes. They love to make me laugh which I love as well. Say racecar backward was my favorite one! I like the orange didn’t win the race because it ran out of juice . That’s super cute ! Thanks for the awesome opportunity ! Thanks for the opportunity to win, I would buy new garden supplies! I like this one. Q: What building in any city has the most stories? My child is still too young to talk, let alone understand these riddles. I’ll hold onto them a bit longer! It’s the only one I wouldn’t have been able to guess without peeking at the answer. Oh my goodness these are awesome! This sparked an idea for me. I am going to post a riddle a day in my classroom and the students will write it down and their answer each day in their reader’s response journal. 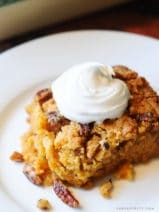 They are going to love, love, love this! My nephew loves telling me riddles. He’d love these and the book you recommended. The one about what is full of keys? The piano is a central part of our home so I know my girls will love this riddle! Oh my goodness thanks for the chuckles. I wrote a bunch down to share with my grankids! Love the bees and honeycomb riddle. So cute! My kids have always been partial to the towel riddle. 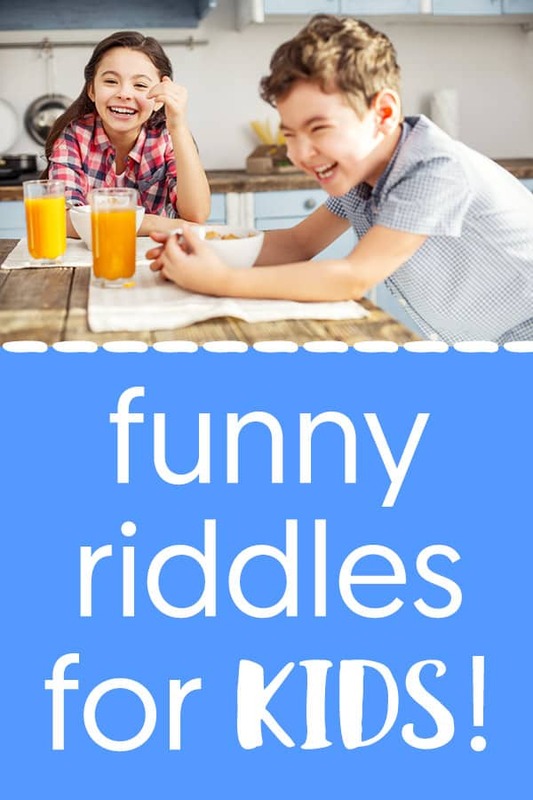 Riddles & jokes are such a fun activity to do with the kids! It helps them imagination-wise and is actually also a great way to learn about the nuances of language! My 7 year old son is going to love these! Our all-time favorite riddle was told by my Dad to my son when he was very little. Q: Where does a sheep go to get a haircut? A: To the baaaa-baaaaa shop! my favorite was the silence one, that’s one real heavy riddle. i like Q: How many months have 28 days? A: All 12 months. It is so simple but even adults get it wrong if they answer quickly. Riddle…why didn’t the Orange win the race? Actually had 2 favorites…which 2 keys can’t open a door? Monkey and Donkey. Why can’t you play cards in the jungle? The jungle is full of Cheetahs? These are so cute. My niece is hitting that silly joke age, I’ll have to share with her!!! I love the two keys riddle! My kids are all a little young to understand these but I am saving them for when they can. I loved them all. The one I think they’d like the best is: What has ears but can’t hear? Corn. Lol They love corn. Since my hubby is a scientist, my son loved the “How does a scientist freshen his breath” riddle. How are dog catcher paid? Knock Knock, Who’s there? Ketchup, Ketchup who? Catch up and I’ll tell you. These were super cute, yet they still make you think! I printed these out for my step-nieces; I am positive they’ll love them! My grandson’s favorite riddle is Why do elves have to go to kindergarten? This is so cool. I was looking for this today. reading a book. How? The person is a blind person and is reading braille. I am a certified braillist. I LOVED the riddle. Say racecare backwards. racecare- clever. My son LOVES riddles!!! I can’t wait until after school to share this with him!! I think this one is cute: Q: How can you tell if a vampire has a cold? A: Seven (take away the ‘s’ and it becomes ‘even’). is my favorite. Love all of them! My daughter made one up when she was younger. Why did the dog lay on the railroad tracks? He wanted to get trained. Thank you for the list! I love the racehorse ‘fast food’ joke!! What did the nose say to the finger? Boys love this one!! Ha ha ha!!! I love the riddle about what starts and ends with an e and contains only one letter! My daughter LOVES riddles as well! I like the riddle about the vampire with a cold–he starts coffin! My kids love ANY knock knock jokes! They think they are hilarious! Q: What goes up and never comes down?A: Your age.Love them! Loved reading these riddles with my niece. She enjoyed all of them. I really enjoyed doing these with my husbad and 4 year old! Thanks for posting!